Christmas is coming which means it's time to start stocking up on Christmas presents for my son and all of my nieces and nephews! 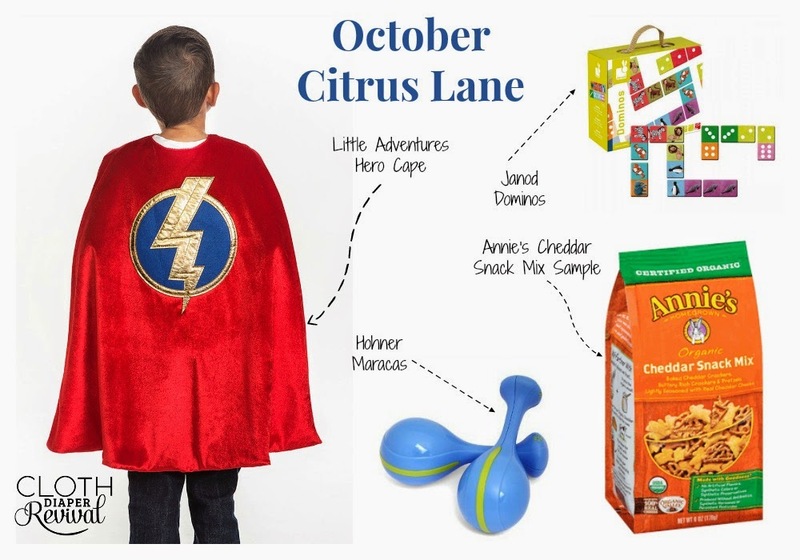 I love Citrus Lane for this reason! 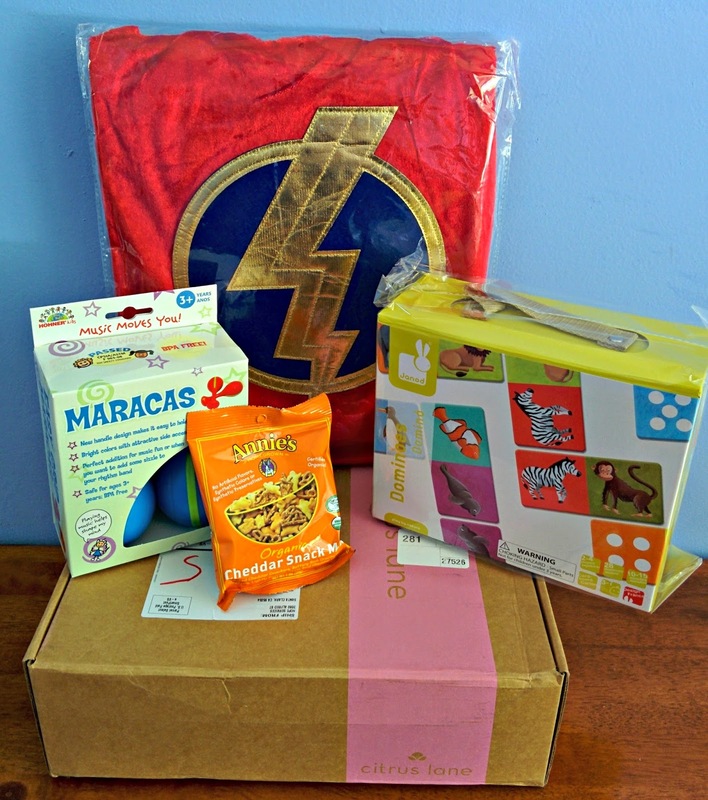 I have an awesome gift box that I can pull from for presents all year round full of awesome, quality toys! This box will be stored away for Christmas! Little Adventures Red Hero Cape - This is adorable and very well made! The quality is awesome and I can't wait to give this to my son for Christmas! Janod Dominos - I love Janod toys! The images are so cute! This will make a perfect gift! Hohner Kids Easy Grip Maracas - My son loves music, but we have a lot of musical instruments already. This may go in the gift box! Annie's Homegrown Cheddar Snack Mix - This is a sample snack pack which I love! These are great for figuring out what snacks my son loves, but also for throwing in the car or my purse so we always have something on hand. I estimate the total value of this month's box at around $42. Pretty good deal considering each month costs $29 at the most! You can usually get a better deal through coupon codes or by subscribing to multiple months at a time. If you use my referral link you'll save 50% off your first box! So all that above for $14.50! It's really worth it even if you only want to try it for the holidays! Makes a great Christmas gift! I need your help! Which image do you prefer for these unboxings? Do you like the real box shot or the clean collage? Help me figure out what to do from here on out! Leave a comment below! The collage is fun, but the other picture is an easy-go to for reference and a lot less work for you! I say do whatever YOU like best!